If you would like to learn just how much our qualified end of tenancy service will cost, contact our day-to-day customer care. You are able to do this through calling 020 3404 0500 or by using the online contact form. To reserve us for doing the cleaning when moving out, you should first make sure that your belongings will be moved out beforehand. In case you have issues with the relocating process, our company additionally provides professional packing and man and van services to help you move. Our perfectly-equipped and prepared cleaning crew will arrive to your property or home and will use all resources and solutions required to thoroughly clean the whole property in compliance to the comprehensive tenancy cleaning register. This service is simply not limited in time, so the specialists will maintain cleaning till almost every job is checked off. 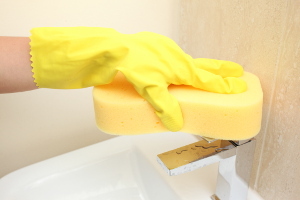 The cleaning includes top to bottom cleaning of almost all areas, stairs, hallways, your kitchen and the bathing room. It can contain outdoor cleaning too. Remember to reserve our tenancy cleaning service when you are moving out - we will assure that your landlord will be happy with the final results! Excellent Carpet Cleaning is dedicated in providing a reliable and top quality move in and out cleaning service. Each one of our specialists are chosen based on individual recommendations and are carefully vetted and skilled. Through the many years of experience in tenancy cleaning, our end of lease cleaning company has created a really detailed cleaning checklist for the move out cleaning service, which covers any things or areas which is usually checked by a landlord or property owner for cleanliness. We have invested in buying the perfect qualified cleaning machines, tools and treatments for the ideal results. Our bond back cleaning will make sure that not a cent of your tenancy deposit is keep back for cleaning services from your landlord or property manager. The booking process is effortless and also fast. Get in touch with 020 3404 0500 or use the online booking request form here. We are accessible day-to-day and will process it inside the following 2 hours. No advance payment is required. The cost is fixed, and there are no hidden fees. Our regular clients, real estate agencies and landlords receive useful prices. We provide a 48 hour client assure, so if you need to be certain that you get your tenancy deposit back in 100%, make certain to allow us to do the relocating cleaning for you personally!